Dr. Shoaib Mughal completed his Basic Surgical training in Ireland and was awarded MRCSED from the Royal College of Surgeons of Edinburgh (UK) and FRCS from the Royal College of Surgeons of Ireland. 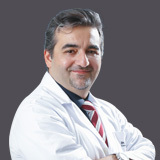 His specialist training in UK included Joint replacement and arthroscopic surgery for the Hip, Knee and Shoulder. 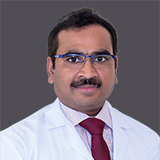 Dr. Mughal has specialized training in the treatment of bone infection (osteomyelitis), and was awarded a fellowship in Trauma Surgery in USA with special emphasis on pelvic and Acetabular reconstruction. He was awarded further two fellowships in Deformity Correction. 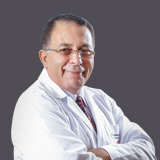 Dr. Maghul worked as an Assistant Professor of Orthopaedic Surgery, and a Consultant Orthopaedic Surgeon in the Forces Hospital Riyadh. 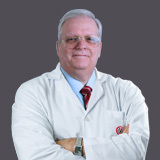 He was a Specialist in Great Ormond St. Hospital, Specialist Surgeon in Nuffield Orthopaedic Centre, in Royal Liverpool Hospital, and in Gloucestershire Royal Hospital, UK. 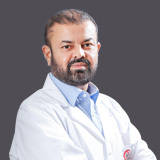 Dr. Shoaib did his Orthopaedics training in Ireland, UK and USA, where he gained extensive experience in the management of all aspects of bony pathologies, Trauma Surgery and its complications. His experience exceeds more than 20 years. He has developed specialist skills in the treatment of complex injuries, particularly bone infections and fractures with bone loss. He has a special interest in treating fractures that do not heal (non-union) or have healed in a poor position (mal-union). Three modalities employed in different patients depending on their condition and acceptance. 1. Ilizarov circular ring fixators . 3. Hybrid method where intramedullary nail inside and external fixator applied outside. 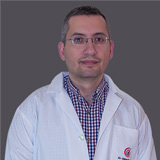 Pioneered by Prof Ilizarov, a Russian Orthopedic Surgeon, lengthening of bone by Cortocotomy has gone a long way from bridging bone loss, management of bone infections to correction of complex deformities, correction of congenital defects and for Cosmetic increase in height. 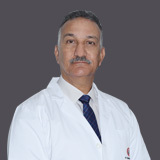 We have extensive experience and we would like to highlight the point that in these kinds of surgeries you need full patient cooperation and participation as they have to do regular dressings, regular exercises, and physiotherapy, abstain from smoking and are not allowed to take NSAIDS which will reduce the new bone formation and can lead to failure of treatment. Patients will be prescribed opioid analgesics for pain management. Commonly seen problems with lower limb in adults like Varus, valgus mal alignment and Limb length discrepancies can be corrected by Osteotomy followed by controlled lengthening using one of the above mentioned methods. In children growth potential can be utilized to correct limb deformities by minimally invasive surgical procedures. Also, same that applies to adults can’t be employed in children as well. Ms. Fatima a young teenager came to me with Back pain and abnormal gait due to bent and short right lower, explained to her regarding the operation and post op protocol. She was ready to do anything and everything as she was eagerly looking for a solution. We did her deformity correction with Ilizarov ring fixator. The treatment took about 6 months. After which she is a happy girl walking around without any deformity and strain on the back. Mr. Ahmed was told in another medical facility that he has a tumor in his thigh bone which needs to be removed by operation but he will be left with a short limb. He was upset regarding the tumor and limb getting short when he came to me. Reassured him that we can remove the tumor and at the same time we’ll lengthen the bone all in one operation. We did en bloc excision of the tumor with 5 cm of bone and corrected the 5 cm length by simultaneous lengthening over external fixator. Whole treatment took about 5 months. Mr. Mohd , in his mid-20s wanted to become a pilot but was short in height so was visiting many doctors for increasing height with medications. I told him No medicine will increase your height but we can achieve the same by operation. He agreed to it and understood the post op management. 7 year boy, Adel was keeping unwell and was getting lonely and depressed in school as he cannot walk like his friends due to an infection that had damaged his left hip joint making him a limping child with short left lower limb for rest of his life. Hisfather was very upset with his son’s disability. After radiological evaluation we found that his hip joint cannot be reconstructed but the femur can be lengthened to correct at this age, the Limb shortening so that he can walk without any limp. We applied Ilizarov ring fixator for him after corticotomy and achieved adequate length so that there is no limp .He is now running and playing like other children. He may need a total hiparthroplasty after the age he achieves skeletal maturity. Master Hamad was suffering from wind swept deformity of both lower limbs with abnormal gait and parents were very upset. He had one sided Varus and other side valgus deformity termed as windswept deformity. They had visited numerous hospitals and got different opinions as he has to live with it or need major operations to cut the bones and straighten them. I told him he is already 13 years that means we are already late. We need to proceed now if we need to utilize the growth potential where we will not cut any bones but only put clips on one side of the knee joint in both legs. The father was very keen to go for operation. We did 3 cm incision, minimally invasive surgical epiphysiodesis and the boy was discharged next day. Kept on regular follow up and he got his deformity corrected in 6 months’ time. He is still on follow up. The clips will be removed later. 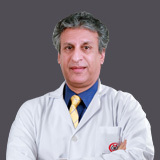 Apart from these surgical corrections, Dr. Shoaib does correction of Club feet with plaster casts (PONSETI METHOD). There is seldom any need for operations in club foot if we start the treatment early within the first week of life. Only need achilis tenotomy, which is usually performed after the 4th cast change and can be performed as an outpatient procedure under local anaesthesia. After the correction by serial castings the child has to be on DOBBS splint to keep the correction and prevent recurrence.